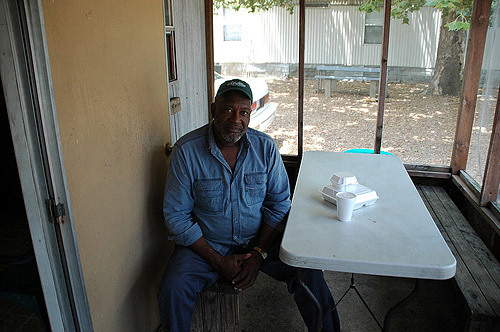 A photo essay of Mileston, Mississippi, and the people involved in its Farmers’ Market program. 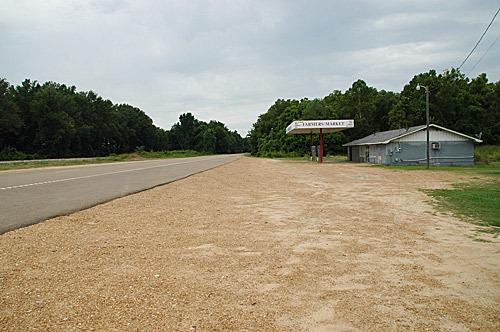 Mileston, Mississippi sits in the heart of one of America’s poorest counties, in a region beset by joblessness, poverty and obesity. Mileston—one of the New Deal’s thirteen all-black planned resettlement communities—is also home to a revival in locally grown and produced foods. I visited in July, 2009. Click to return to this article. 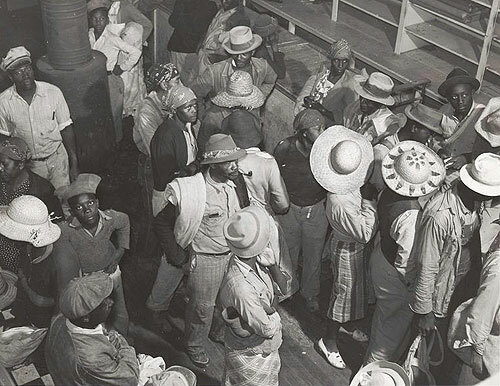 In Mileston, black sharecroppers who had been eking out a living on the land of white plantation owners were given plots as large as 100 acres, which they could eventually purchase from the government. 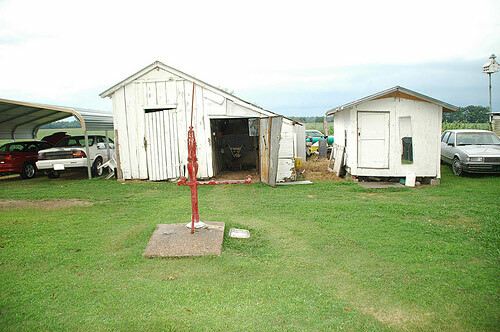 Each house in the original Mileston planned community was equipped with a smokehouse, a barn, a chicken house, and a pump. Some of those features remain today. 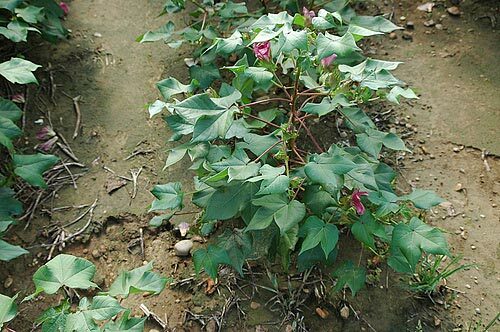 Once the “king” of Mississippi cash crops, cotton now takes third place, after corn and soybeans. Harsh pesticides used to stave off the boll weevil have taken a toll on the surrounding environment. Less cotton grown means fewer jobs at the cotton gin in Tchula. With the cotton industry sinking, Mileston and Holmes County have had to find other ways to get by. Calvin Head at the WHCDO (West Holmes County Community Development Organization) headquarters in Mileston with some of the young people participating in the WHCDO Farmers’ Market program. The organization uses some of the regions agricultural resources to bring fresh, healthy food and supplemental income to County residents. 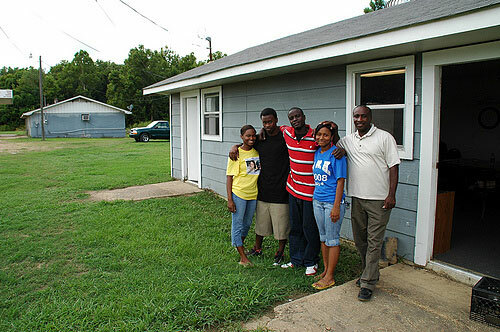 Left to right: Lakia Scott, Henry Cage, Carlos Walden, Jessica Howard, Calvin Head. More young farmhands in the field. Student employees staff the West Homes County farmer’s market program, learning how to assess their market, set prices and keep a tally of each days sales. At the end of the season, the young entrepreneurs split the profits with local farmers. Left to right: David J. Brown, Shamaine Howard, Russell Scott. The demand for local produce in the community has been a pleasant surprise. 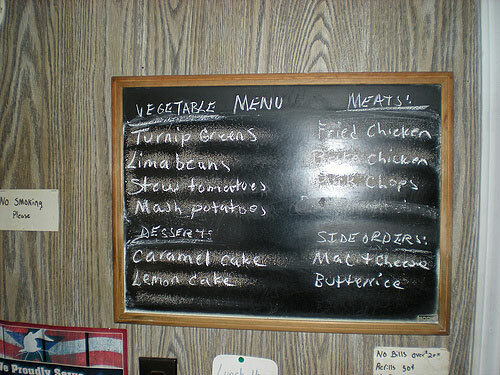 Five dollars will buy a baked chicken lunch with side dishes of stewed tomatoes with okra and butter-beans with bacon; or an order of meatloaf with greens and baked squash. Herbert Mason sits down to lunch at Miss Pat’s. Mileston farmer Joseph Anderson stands in his melon patch. Aerial spraying of cotton pesticides had obliterated his first crop, forcing him to replant. The chemical cocktail is so toxic that laws prohibit spraying during unfavorable wind conditions. Pollution is a significant obstacle for the market program, which needs a threefold increase in fertile, available farmland to meet demand. 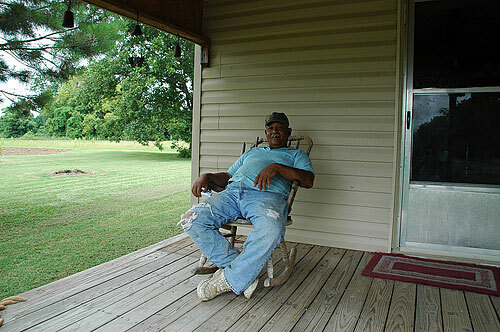 Griffin McLaurin, the market program’s biggest vegetable producer, on his front porch. He still remembers the day Hartman Turnbow stepped forward when the sheriff demanded to know which of the fourteen men standing in front of the county courthouse was going to be the first to attempt to register to vote. 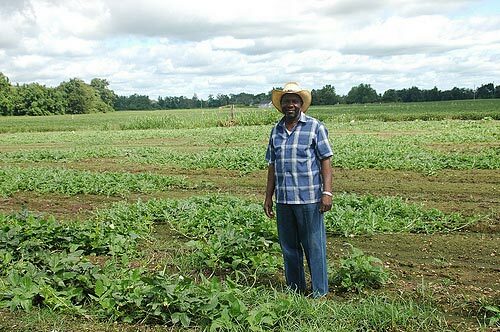 McLaurin views the collaborative farming efforts as a continuation of long battles against poor nutrition, poverty and racism. 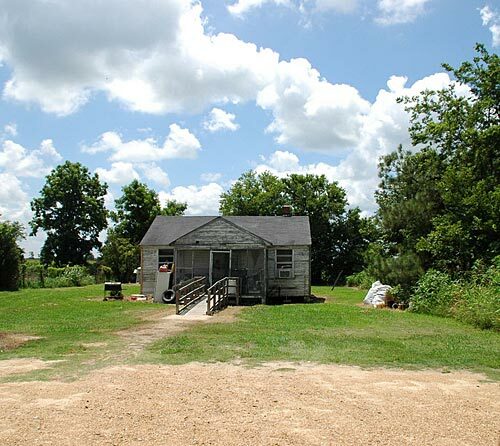 For leading the campaign to register blacks in Mileston to vote, Hartman Turnbow was targeted by white vigilantes, who firebombed his house, one of the original homes in the planned community. Turnbow came out shooting, killing one of the arsonists. Subsequently Turnbow was jailed—not for homicide, but for arson. Today another family lives in the home. 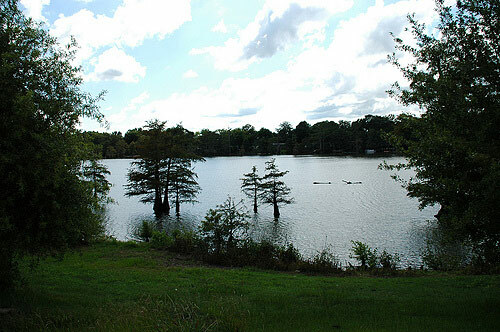 Bee Lake divides the white section of West Holmes County from the surrounding area. 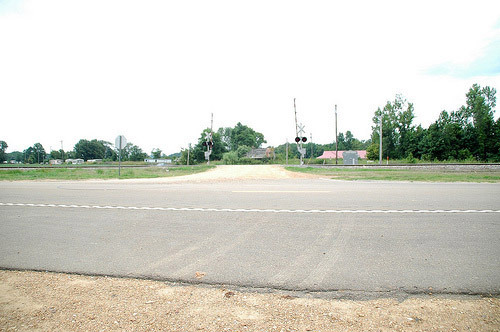 Collaborative farming and distribution of local food has been a lift to Holmes County, but the road ahead is uncertain. 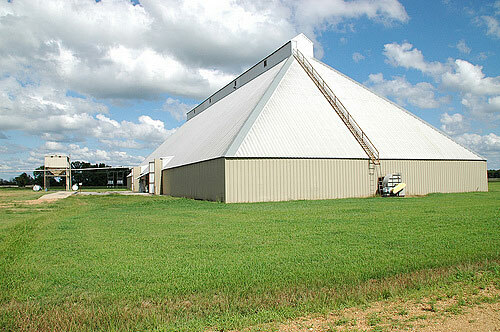 The next hurdles for the program are the purchase of a refrigerated storage unit for produce, and eventually a greenhouse. 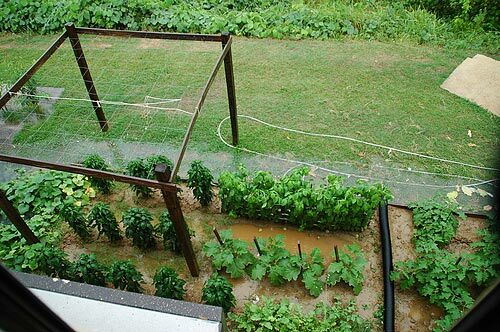 Even the Best Western in Yazoo City, where I stayed during my visit, has its own vegetable garden out in back.